1. Why breasts feel pain during menstruation? A woman's breasts are secondary sexual organ that is affected by the hormone estrogen. When menstruation, hormonally become unbalanced which make your breasts will feel full, hardened, or enlarged, and painful to the touch. 2. Is it normal when the size of the left and right breast is not the same? Breast size is determined by how much fatty tissue in the breast owned. Mostly, breast shape is different between left and right. Only difference at any level is not the same person. This is quite normal. But need to watch out if you find changes in the shape or size of the breast that is radical. 3. Breastfeeding can reduce the risk of breast cancer? Some studies say, breast-feeding for 27-52 weeks can reduce the risk of breast cancer. 4. 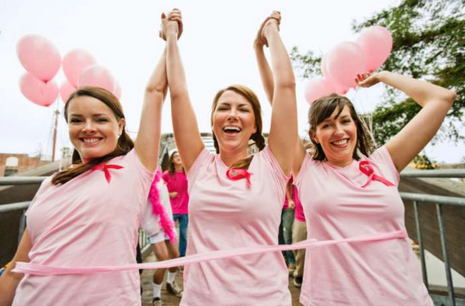 Regular exercise can reduce the risk of breast cancer? Sports for four hours every week can reduce the risk of cancer by 30%. Therefore, the American Cancer Society recommends women to exercise for 45-60 minutes every day. 5. What are the signs of breast cancer? Not only for breast cancer, Indonesian Cancer Foundation has provided guidelines to detect cancer called ALERT. W (time urination: is there gangguang or change habits? ), A (digestive apparatus disturbed or difficult swallowing), S (hoarseness or cough that does not go away), P (breast or other parts showing a bump), A (andeng -andeng (moles) are changing the nature, the greater or itching), D (blood or abnormal mucus out of the body), A (the wounds would not heal). 6. Why do the majority of breast cancer in women? 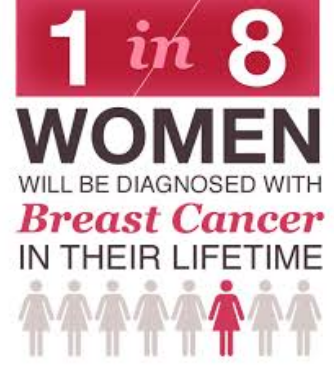 The incidence of breast cancer in men and women is 1: 100. The majority of women attacked because the problem is much more there in the hormones estrogen and progesterone. However, when attacking a man, traveling the disease becomes faster. This is because the surrounding breast tissue as thick as a man not a woman. 7. Could the cancer completely healed? This term is less precise. It would be more accurate to use the term 5 year survival rate (survival rate within 5 years after being diagnosed with cancer). The duration depends on the characteristics of the tumor, presence or absence of spread to the lymph nodes, and the presence or absence of 'son spread' commonly called stage TNM (tumor, node, metastasis). 8. What was the case when the breast should be lifted? There are several breast removal procedure depends on the stage of cancer, namely the classical radical mastectomy, modified radical, and simple. This procedure difference lies in the number of skin tissue, glands, muscles and lymph nodes removed. The basic principle is to remove as many cancer cells as well as structures that are believed to have been attacked. With the expected removal of the breast cancer has not spread to other structures. 0 Response to "8 Important Facts About Breast Cancer"